1. Verifone's Global Bay Merchant POS software is made just for iPad's. 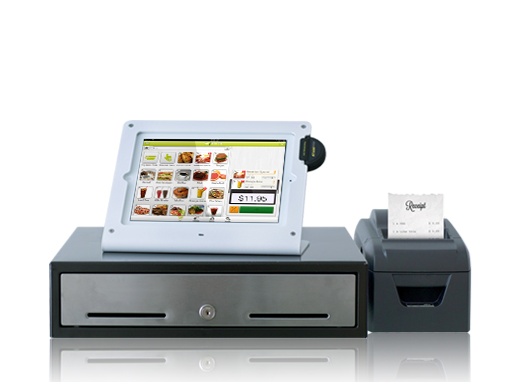 Check out our complete Bindo POS iPad POS systems here. 2. An iPad enclosure/stand. 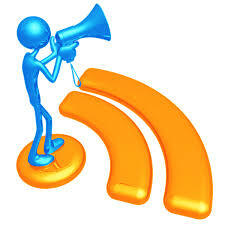 This is at the heart of your iPad Point of Sale system. An iPad enclosure will protect your iPad and keep it stationary. We highly recommend the Heckler Design Windfall iPad POS enclosures; they are modern looking and are definitely worthy of an iPad. 3. A Bluetooth barcode scanner. We recommend Socket Mobile barcode scanners because they are Apple certified. You can have your Socket Mobile barcode scanner paired with your iPad and scanning barcodes right away. 4. A WiFi thermal receipt printer. We recommend a WiFi thermal receipt printer because you can set it up as a network printer, so you can have more than one iPad POS system printing to it. We recommend any Star Micronics LAN printer with the optional Star Micronics WiFi Power Pack; this hardware combination is a great solution for your iPad POS system printer. BE SURE TO CHECK WITH YOUR CHOSEN POS SOFTWARE VENDOR TO INQUIRE IF THIS HARDWARE SETUP IS COMPATIBLE WITH YOUR POS SOFTWARE BEFORE PURCHASING. 5. A solid cash drawer that will last for many years. We are very impressed with the MMF Advantage cash drawer. The MMF advantage cash drawer is large enough to accommodate your iPad, receipt printer and other items to be placed on top of it. Please note that the MMF Advantage series cash drawer is a receipt printer driven cash drawer, so it will be connected to and operated by your receipt printer, not your iPad. 6. A credit card reader that will attach to your iPad. The Magtek iDynamo card reader is compatible with the iPad and the Heckler Design iPad enclosure. There are many different versions of the iDynamo card reader. BE SURE TO CHECK WITH YOUR CHOSEN POS SOFTWARE VENDOR TO INQUIRE OVER WHICH iDYNAMO CARD READER IS COMPATIBLE WITH YOUR POS SOFTWARE BEFORE PURCHASING. Once you have purchased the iPad compatible POS equipment listed above, you will be open for business and taking sales on your super cool iPad POS system.